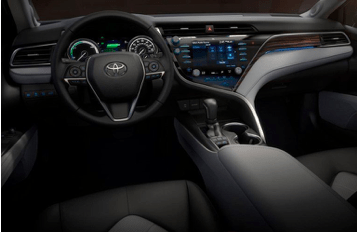 With the new 2018 Camry launching this summer, Toyota is also introducing its upgraded infotainment system, Entune 3.0, enabling features such as high-speed wireless Internet connections and dynamic traffic information. Its issue? Contending against Android Auto and Apple CarPlay. Toyota is known for going down a different path than most other manufacturers – take their hybrids and hydrogen fuel cells for example. But I think upgrading their old system isn’t their best idea. CarPlay and Android Auto are taking most of the market by storm and consumers are giving them positive reviews. Now Toyota wants to compete with that? Good luck. One of Toyota’s main concerns is privacy, which is why they want to use their own infotainment system. They’ll be able to control and regulate all the data, rather than share it with a third party. Entune 3.0 uses an open-source platform called Smart Device Link for third-party applications. SDL was introduced by Ford and opened up to other automakers to develop alternatives to the Android Auto and Apple CarPlay standards. But, the SDL alliance hasn’t had much luck attracting more partners. Hence why Ford decided to develop its Sync 3 infotainment system to be compatible with CarPlay and Android Auto for all 2017 model vehicles. But let me be clear – the real issue is indeed Toyota deviating away from the norm on this one. Like I’ve stated time and time again – your phone is the new infotainment system, using CarPlay or Android Auto. We don’t need, or hell, even want any other system. Don’t make this more difficult than it has to be. Phone wars have always been between Android and Apple – don’t be BlackBerry. Sure, it would be nice to see Entune 3.0 succeed just because I like Toyota, but that doesn’t mean it should. More apps and better technology = more distractions. I think it’s comical how we’re constantly discussing distracted driving due to phones, but nobody ever mentions distracted driving from infotainment systems. There’s no difference. A screen is a screen. It’s a distraction. Why do you need countless apps in your system while you’re driving? The answer is you don’t. Simply put – all you need is your GPS and music app. You don’t need to text and drive. If it’s that important, use the hand-free calling. I don’t mean to rant, but since when did my car turn into a computer? I drive to get away from distractions. I drive to free my mind. I don’t drive to see what Becky wants at 11am or to order something through Amazon (yes, certain systems can order through Alexa). Driving is a form of freedom and we should cherish it, without the meandering distractions.